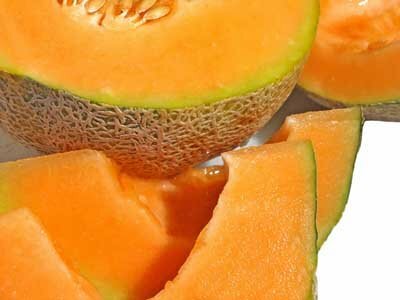 Listeriosis Outbreak: Jensen Farms Recalls Cantaloupe Due to Possible Health Risk. Home Business Listeriosis Outbreak: Jensen Farms Recalls Cantaloupe Due to Possible Health Risk. Listeriosis outbreak: FDA recalls Jensen Farms cantaloupe. Jensen Farms Recalls Cantaloupe Due to Possible Health Risk. Press release. FOR IMMEDIATE RELEASE – September 14, 2011 – Jensen Farms, of Holly, CO is voluntarily recalling their shipments of Rocky Ford whole cantaloupe because they have the potential to be contaminated with Listeria. The company is working with the State of Colorado and the FDA to inform consumers of this recall. L. monocytogenes is a bacterium that can contaminate foods and cause a mild non-invasive illness (called listerial gastroenteritis) or a severe, sometimes life-threatening, illness (called invasive listeriosis). Persons who have the greatest risk of experiencing listeriosis after consuming foods contaminated with L. monocytogenes are fetuses and neonates who are infected after the mother is exposed to L. monocytogenes during pregnancy, the elderly, and persons with weakened immune systems. The whole cantaloupes in question were shipped between July 29th, 2011 and September 10th 2011, and distributed to the following states: IL, WY, TN, UT, TX, CO, MN, KS, NM, NC, MO, NE, OK, AZ, NJ, NY, PA. The whole cantaloupes have a green and white sticker that reads: Product of USA- Frontera Produce-Colorado Fresh-Rocky Ford-Cantaloupe or a gray, yellow, and green sticker that reads: Jensen Farms-Sweet Rocky Fords. If the whole cantaloupe is unlabeled, please contact your retail store for sourcing information. Jensen Farms is requesting any consumer that many have one of these cantaloupes to please destroy the products. The recall involves only whole cantaloupe shipped by Jensen Farms, and no other commodities are involved. Jensen Farms feels it is prudent to participate in the recall as the State of Colorado has stated (in their September 12th, 2011 press release) that people at a high risk for infection should not eat whole cantaloupe from the Rocky Ford growing region. “Jensen Farms continues to stay committed to the highest levels of food safety and maintains many third party safety audits, as we have for many years. We continually look for ways to enhance our protocol,” said Ryan Jensen, partner at Jensen Farms. Jensen Farms is a 3rd generation family farm of the Holly, Colorado community. Consumers with questions may contact Jensen Farms via email at recall@rfordcantaloupe.com or phone 1-800-267-4561 between the hours of 9am and 4pm MST.